“Anytime! !” Yes, that’s the answer to our question… “When is the best time to eat gelato? ?” This recipe is made with our fresh Olive Us Lemon Agrumato Olive Oil which is made by crushing fresh ripe lemons together with fresh organic olives to make the oil! It’s amazing and versatile!! Combine the blueberries, 1/4 cup of sugar and lemon zest together in a saucepan over medium heat. Stir occasionally, being mindful that the pot does not boil over or burn. Add the chilled blueberry puree to the custard and stir to combine. 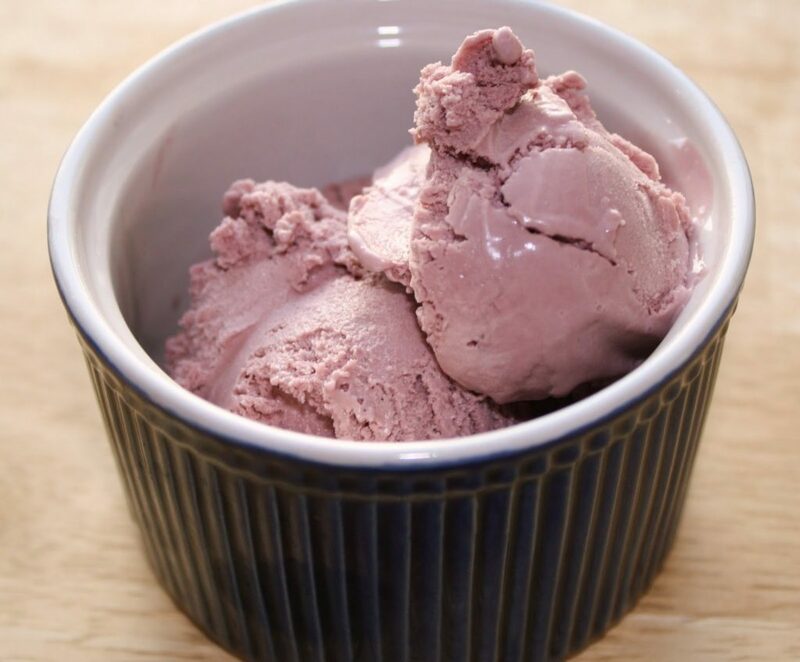 Place the mixture in to the ice cream maker and process according to the manufacturer’s instructions. Transfer the gelato to a chilled container, cover and freeze until firm, at least 3 hours, before serving.